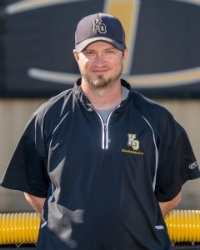 Coach Burks is now in his 5th year at Klein Oak and all 5 years he has been a part of the KO baseball family. His first 2 years he coached the sophomore team and for the last 3 years he has been the JV baseball coach. Coach Burks also teaches Algebra 2 and looks forward to helping his athletes excel on the field and in the classroom. Coach Burks has been married to his high school sweetheart, Sharon, for 15 years. They have 2 daughters. The oldest, Teresa, is a sophomore at Texas State and the youngest, Kamrynn, is a freshman here at Klein Oak.